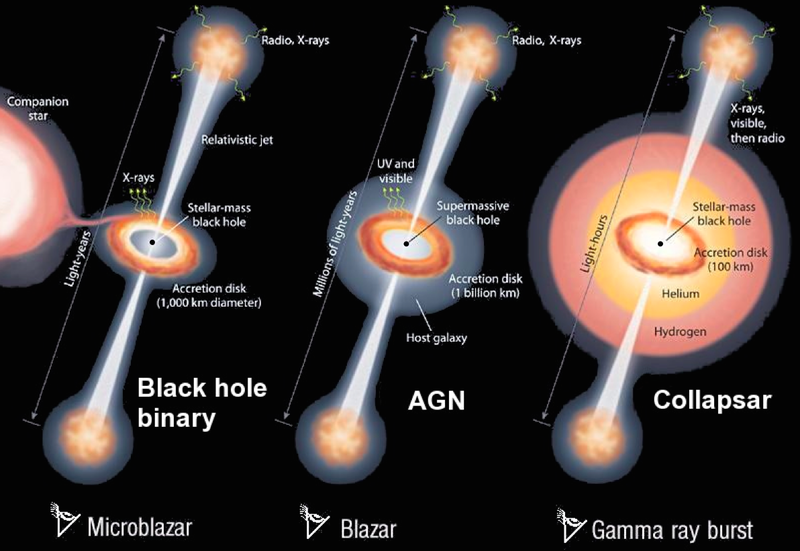 Despite evidence that the inner workings of microquasars and AGNs are very similar, any clear connections between the properties of AGNs and GRBs have been elusive. My research aims at understanding how the properties of relativistic jets vary across the mass scale, in collaboration with AGN and GRB researchers. As a first step, we investigated the energetics of jets produced in AGNs and GRBs using observations made with Fermi and Swift. We discovered that these jets follow the same relation between their kinetic power and the 𝛾-ray luminosity (see figure). 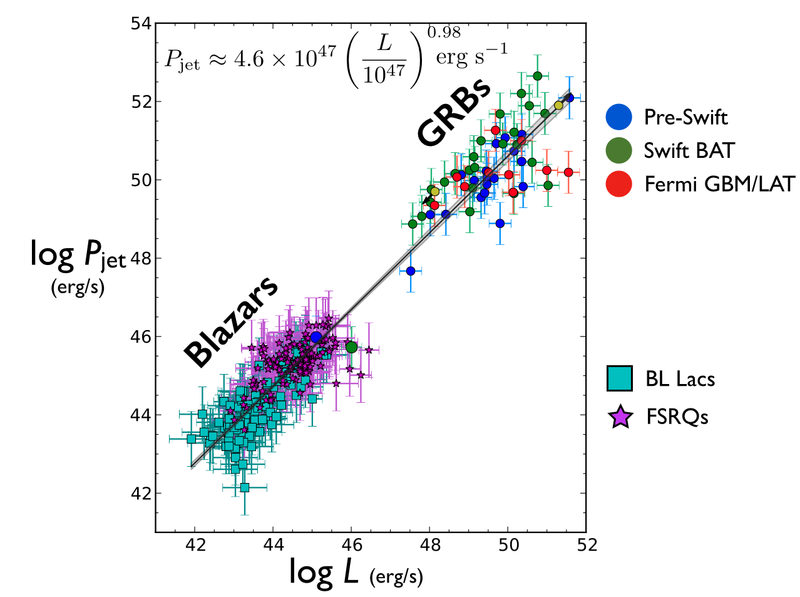 This result implies that the efficiency of energy dissipation in jets produced in black hole systems is similar over 10 orders of magnitude in jet power, establishing a physical analogy between AGNs and GRBs. A universal scaling for the energetics of relativistic jets. From Nemmen et al. 2012, Science, 338, 1445.